DATE OF BIRTH: January 20, 1921 – Teeswater – County of Bruce – Ontario. PARENTS: Mr. Thomas and Mary Elliott – Blyth – Ontario. BROTHER: Mr. Gordon Elliott – Preston – Ontario. SISTERS: Mrs. Elizabeth Karadis – New York City – New York – USA. Mrs. Jean Henry – Hensall – Ontario. Mrs. Jesse Henry – Lucknow – Ontario. Mrs. Edith Wright – Toronto – Ontario. ENLISTMENT AGE: 19 years 6 months. Robert completed his primary schooling in Blyth, completed one year of high school and at enlistment was attending Blyth Continuation School and here he could get his education to Grade 13. June 24, 1940 – Private Elliott was sent to the Thames Valley Training Camp. January 25, 1941 – granted furlough until February 8, 1941. 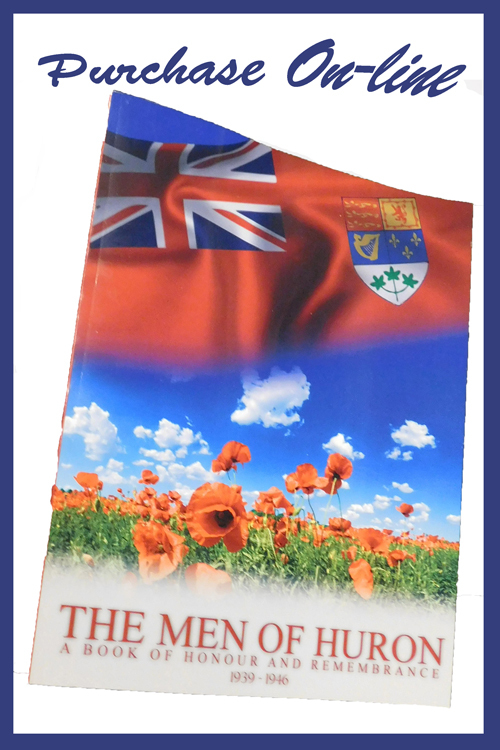 Following the training of the Regiment they moved to Toronto in 1941 and became part of the 12th Infantry Brigade. About this time the Regiment moved to Valcartier – Quebec to continue with its training and was at this location until approximately the end of May 1941. At this time, the Regiment moved to Camp Sussex located in Sussex – New Brunswick. January 5, 1942 – granted leave until January 18, 1942 – Camp Sussex. January 25, 1942 – the Regiment was converted from Infantry to Armour while at Camp Sussex with the name the 25th Armoured Regiment – Royal Canadian Armoured Corps. Shortly after this the Regiment moved to Debert – Nova Scotia Camp Debert was located on the main line of the Canadian National Railway from Montreal and went as far as Halifax. 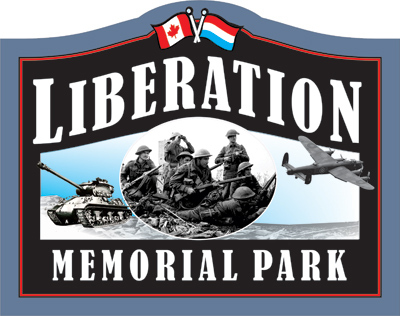 Camp Debert was the final staging area for all troops going overseas and was the location where the troops trained and received their weapons. The troops would travel from Debert to Halifax under cover of darkness and in blackout conditions. March 14, 1942 – Trooper Elliott transferred to the 25th Canadian Armoured Regiment (Elgins) Royal Canadian Armoured Corps. Camp Debert – Nova Scotia. June 16, 1942 – granted Special Duty Leave until July 21, 1942 while at Camp Debert – Nova Scotia. Trooper Elliott had taking rifle, Sten gun, PIAT and grenade training before going overseas. August 20, 1942 – Trooper Elliott was Struck off Service in Canada. August 21, 1942 – Trooper Elliott was Taken on Service for overseas duties. September 8, 1942 – granted leave until September 13, 1942. September 26, 1942 – Trooper Elliott and the 25th Armoured Regiment departed from Canada. October 9, 1942 – Trooper Elliott arrived in the United Kingdom. In January 1943, the 25th Canadian Armoured Regiment became known as the 1st Canadian Tank Delivery Regiment. January 13, 1943 – granted leave until January 20, 1943. April 26, 1944 – to No. 2 Canadian Reserve Unit. June 1944 – Taken on Strength to 12th Battalion 2nd Canadian Brigade Reserve Group. 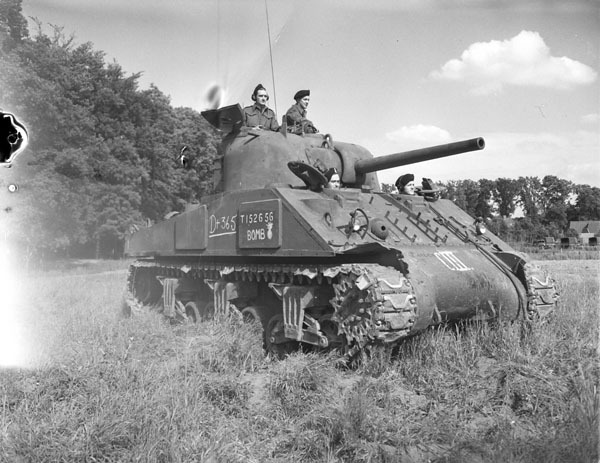 July 20, 1944 – Taken on Strength as a Driver Mechanic Tank North-West Europe. 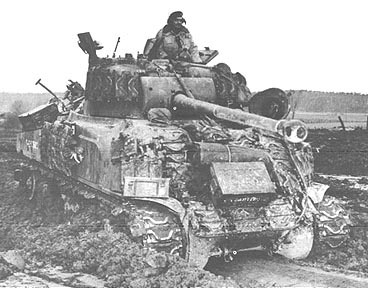 February 21, 1945 – the Tank of Trooper Elliot was struck by enemy fire, he was not able to escape the destroyed tank. Three members of his crew were wounded. Crossing the Orne River at Caen, Faubourg de Vaucelles, Bourguebus Ridge, Operation Totalize and the elimination of Michael Wittman of the 101st SS Heavy Panzer Battalion, Clair Tizon, The Liaison, The Falaise. Following the Falais battle the Regiment brought in replacement tanks and crews. Then in September / October 1944 they were attached to the 1st British Corps. Then it was the Scheldt, the Lower Mass and then they went to a quiet sector, relieved a British Unit and here they rested and trained. The front was active but it was static due to badly damaged roads, flooded areas and winter conditions. Throughout January and February, the Regiment and its Squadrons moved around the 2nd / 3rd Canadian Divisions and they were assigned direct and indirect fire tasks against the enemy. 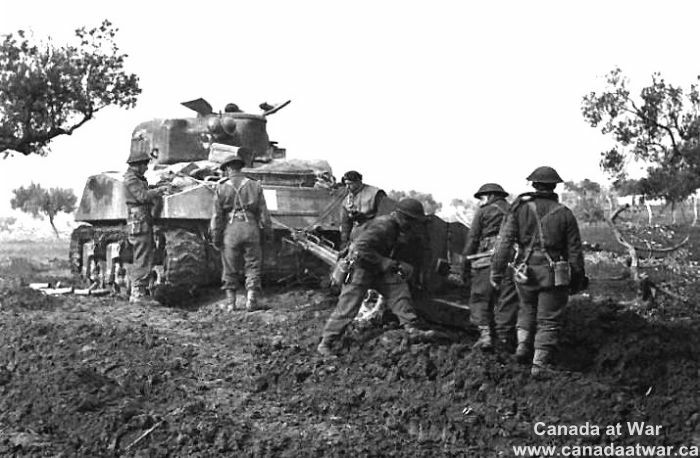 The Moyland Wood fight was significant in that it showed how a determined enemy with no fear of dying could so strongly delay the Canadian advance with fire and counter-attacks forcing the Canadians to proceed by a set piece strategy. Across from the Canadians were 10 enemy Divisions: 3 Infantry, 3 Panzer and 4 Parachute. The Canadians found out this enemy was formidable in quality and quantity. The attack onto the Moyland Wood was schedules for 10 am on the morning of February 21, 1945. Briefly, the plan called for continuous artillery fire to saturate the woods, as the infantry advanced they would follow a rolling barrage, and light weapons such as machine-guns and anti-tank guns would fire over open sites at the Sectors of the Battlefield. The Sectors were 300 yards wide and the Sectors ran from east to west. “B” Sector would receive an additional 45 minutes of light fire, “C” Sector an additional 75 minutes of fire, “D” Sector would receive 120 minutes and “E” Sector the final objective would receive an additional 150 minutes of light fire. “B” and “C” Companies of the Winnipeg Rifles would be leading and advancing from the west with the support of the Sherbrooke Fusiliers. Two tanks Company. The infantry was set to go 10 minutes before 10 am and the tanks of the Sherbrooke Fusiliers were forward providing support fire. By early afternoon there was just “E” Sector left to clear and consolidate. This was assigned to “D” Company who were replaced by the Regina Rifles. “D” Company then went to assist a badly depleted “C” Company. At 2 pm “C” and “D” Companies of the Winnipeg Rifles began to move and they passed one of the Sherbrooke Fusilier tanks that had been knocked out. This was the tank of Trooper Elliott. As the Companies advanced the fighting was fierce, it was bitter, it was bloody and they found the enemy defenders well hidden with much firepower. The tanks were stopped because of all the enemy mines in the area. Casualties would have been much higher if it had not been for the tanks of the Sherbrooke Fusiliers. The Sector was finally cleared and the Canadian forces were now able to advance toward Germany. Robert was insured with Monarch Life for $1,000. He had a bank account in Blyth with the Canadian Bank of Commerce with $50 in it. The Last Pay received was $152.53 while his War Service Gratuity amounted to $753.04. The personal effects of Robert included 1 Red “I” disc 1 leather folder with snapshots Personal letters 1 cap badge, 1 pen and pencil set, 1 fountain pen, 1 prayer book and a cloth folder with snapshots.